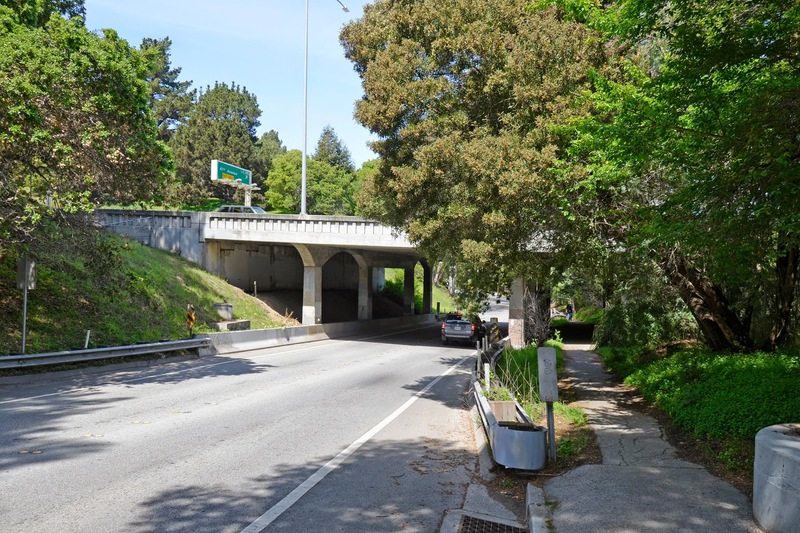 It took me several tries before I found a way under this big arch bridge that carries State Route 1 across Soquel Creek. The bridge is over 100 ft wide and includes four arch ribs that are 126 ft long that soar 50 ft above the creek. It was built in 1947 by Caltrans and seismically retrofitted in 1995. 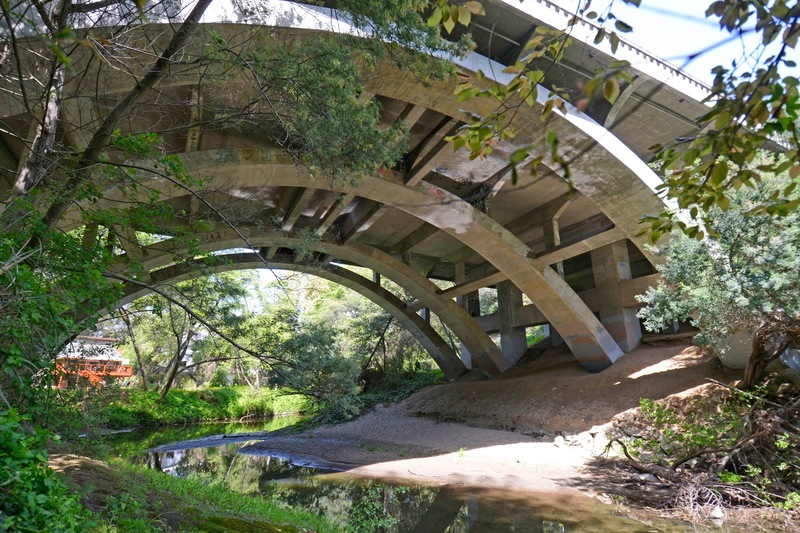 The arch is just one span of the 324 ft long Soquel Creek and Wharf Road Bridge (36 0013) that includes several slab spans (see photo below). A careful retrofit would be required to ensure the large demands on the arch doesn't damage the short columns of the slab bridge. Santa Cruz County, California Bridges: Cabrillo Highway Bridge across Soquel Creek and Wharf Road by Mark Yashinsky is licensed under a Creative Commons Attribution-NonCommercial-NoDerivatives 4.0 International License.